The importance of the Prime Minister in British foreign policy decision-making has long been noted by historians. However, while much attention has been given to high-level contacts between leaders and to the roles played by the premiers themselves, much less is known about the people advising and influencing them. In providing day-to-day assistance to the Prime Minister, a Private Secretary could wield significant influence on policy outcomes. 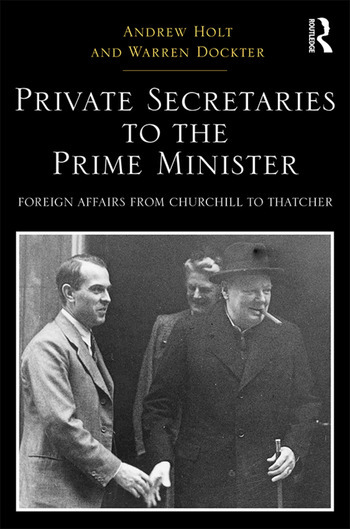 This book examines the activities of those who advised prime ministers from Winston Churchill (1951–55) to Margaret Thatcher during her first administration (1979–83). Each chapter considers British foreign policy and assesses the influence of the specific advisers. For each office holder, particular attention is paid to a number of key themes. Firstly, their relationship with the Prime Minister is considered. A strong personal relationship of trust and respect could lead to an official wielding much greater influence. This could be especially relevant when an adviser served under two different leaders, often from different political parties. It also helps to shed light on the conduct of foreign policy by each premier. Secondly, the attitudes towards the adviser from the Foreign Office are examined. The Foreign Office traditionally enjoyed great autonomy in the making of British foreign policy and was sensitive to encroachments by Downing Street. Finally, each chapter explores the role of the adviser in the key foreign policy events and discussions of the day. Covering a fascinating 30-year period in post-war British political history, this collection broadens our understanding of the subject, and underlines the different ways influence could be brought to bear on government policy. Andrew Holt taught at the University of Nottingham, King’s College London and the University of Exeter, and held a visiting fellowship at Churchill College, Cambridge, before joining the Civil Service. He is the author of The Foreign Policy of the Douglas-Home Government: Britain, the United States and the End of Empire (2014). Warren Dockter is a Lecturer in International Politics at Aberystwyth University, having previously been a Junior Research Fellow at Clare Hall, Cambridge. He is the author of Winston Churchill and the Islamic World: Orientalism, Empire and Diplomacy in the Middle East (2015) and edited Churchill at the Telegraph (2015).